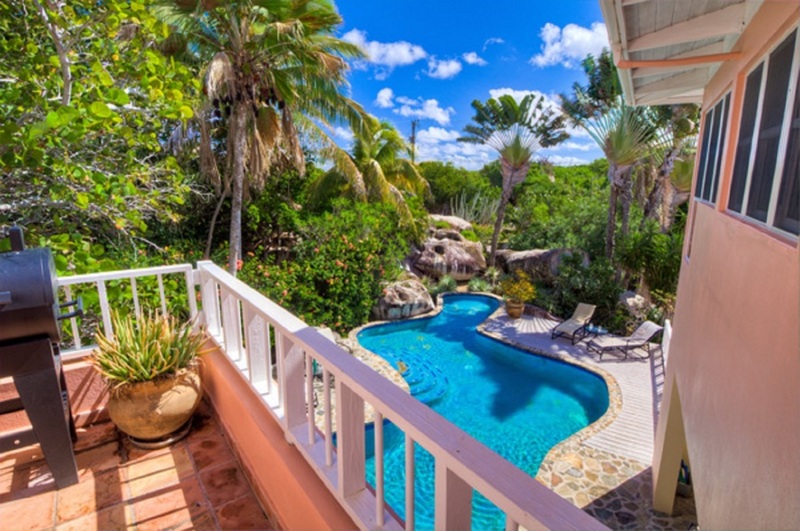 This remarkable villa has a multi-level design and is a short walk from the famous Baths and Spring Bay’s beaches in the beautiful British Virgin Islands. 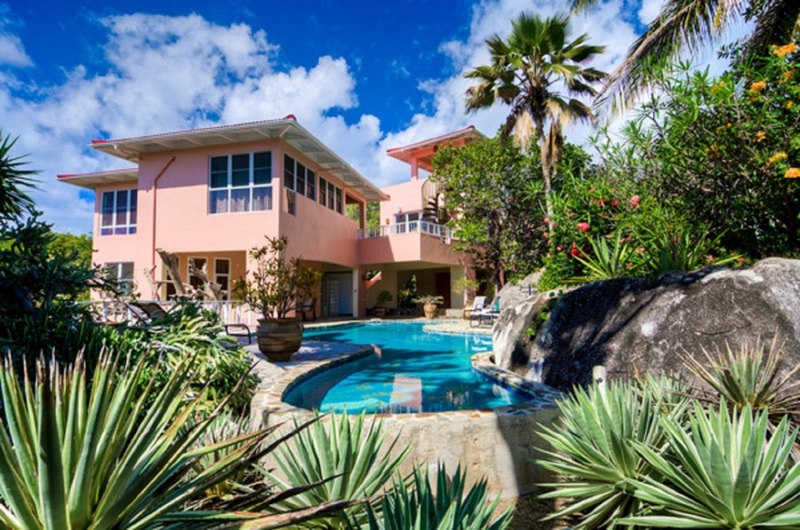 You will enjoy full privacy throughout, with an airy Great Room, having balconies on three sides which can be used for relaxing or entertaining, and is adjacent to a large fully-equipped kitchen expanding to outdoor terraces. 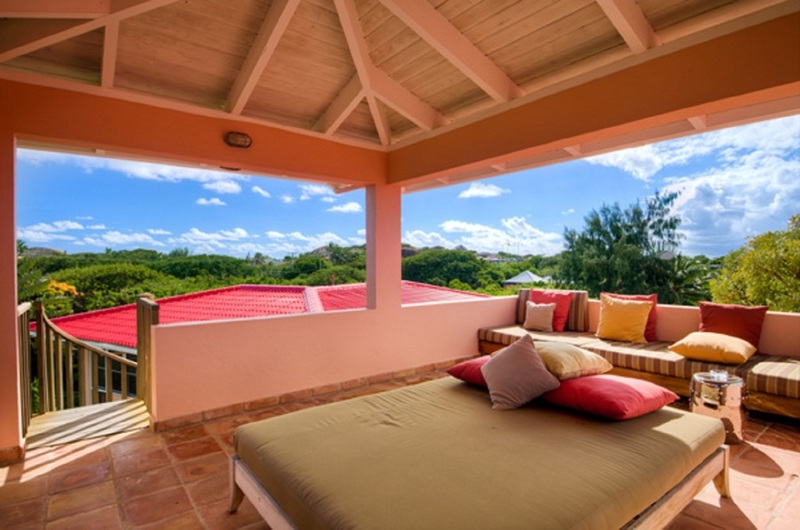 This extensive four bedroom villa can comfortably sleep up to ten, with each air-conditioned bedroom having its own bath (two with outdoor showers), and closet space. Two bedrooms also have separate sitting areas. 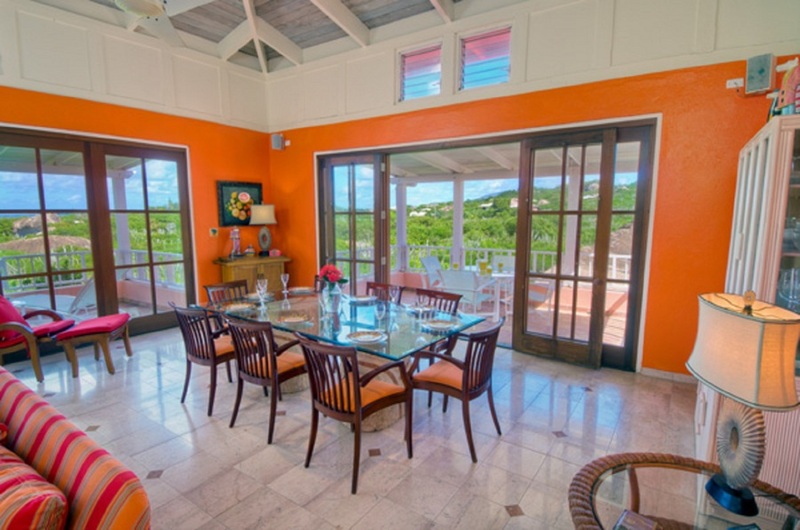 The main level includes the Great Room with a dining area and French doors leading out to terraces and varied land and sea views outside. 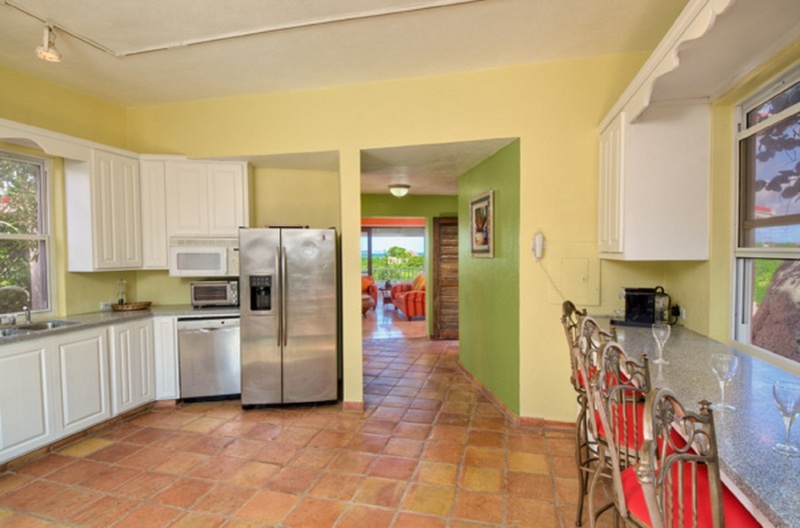 The main kitchen is large and bright, with a breakfast bar. 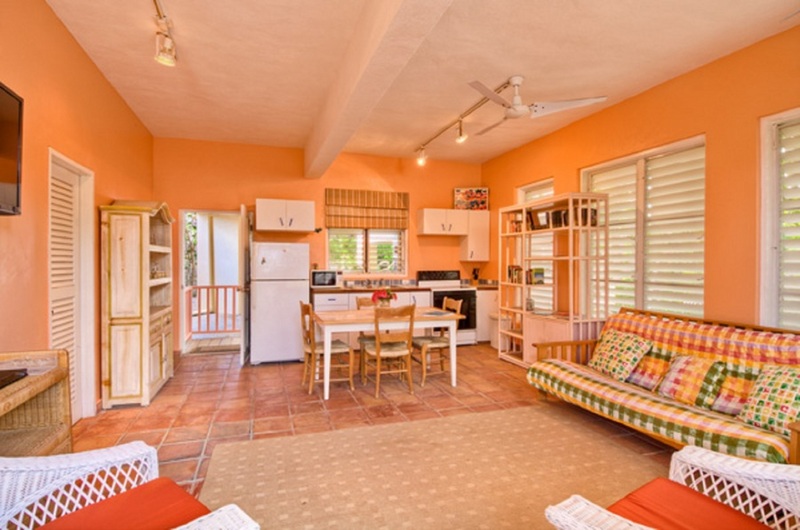 A second kitchen is located in the adjacent guest cottage, where the separately accessed fourth bedroom is located. 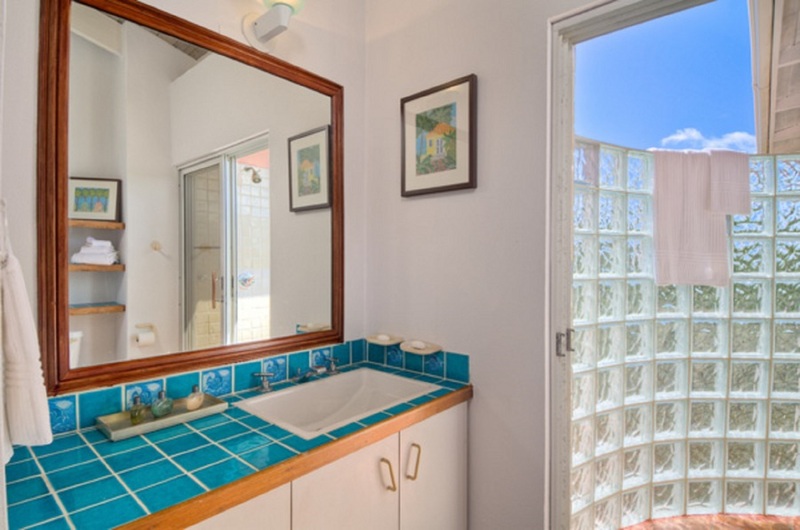 Two bedroom/bath suites and a half-bath complete this level. 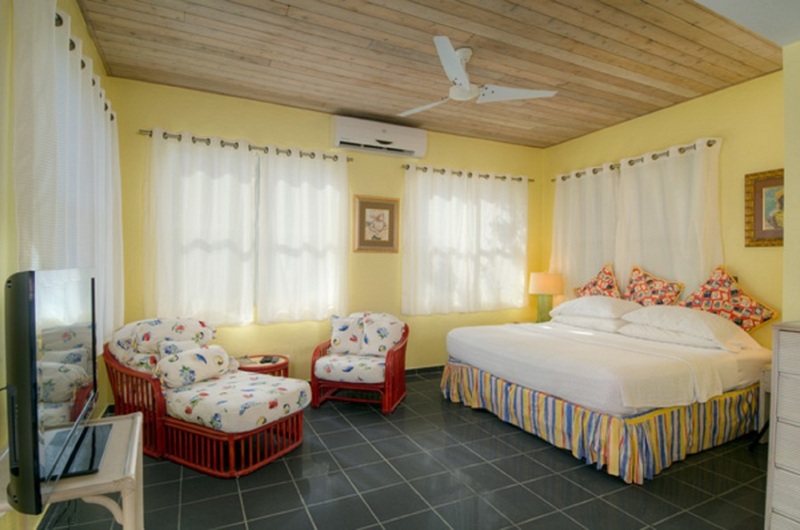 The spacious master bedroom suite is accessed on the lower level, from poolside, and includes a kitchenette and outdoor shower. 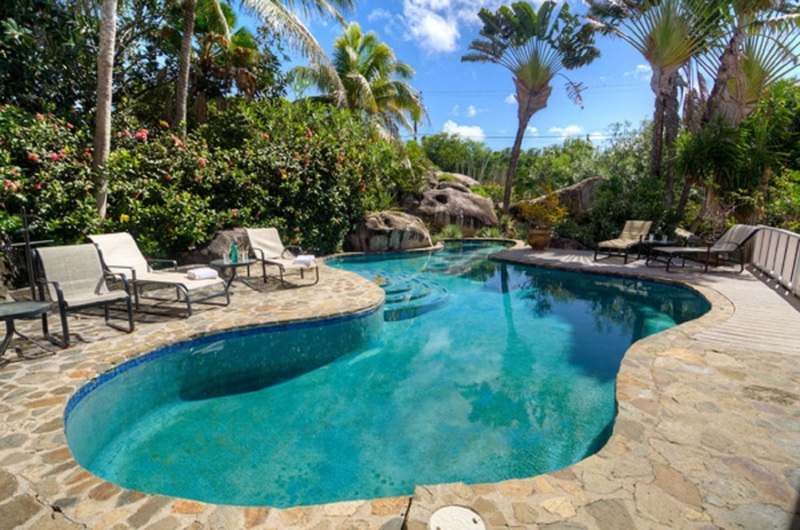 The 30 foot private pool is tucked into fabulous gardens and edged with huge granite boulders and natural stone decks. 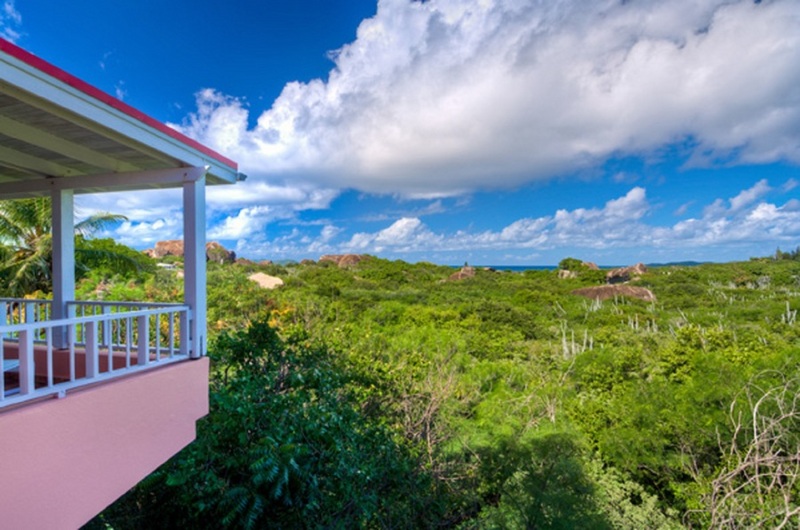 A staircase leads up to the unique lookout tower with spectacular views of the surrounding islands and the vibrant blue Caribbean Sea. Meet the owner of this exclusive property in this IVHE podcast. Near The Baths, Spring Bay, Virgin Gorda, British Virgin Islands. Virgin Gorda is less touristy than other caribbean islands, just enough restaurants and retail to allow for a comfortable, peaceful vacation, with beaches that you often have to yourself. 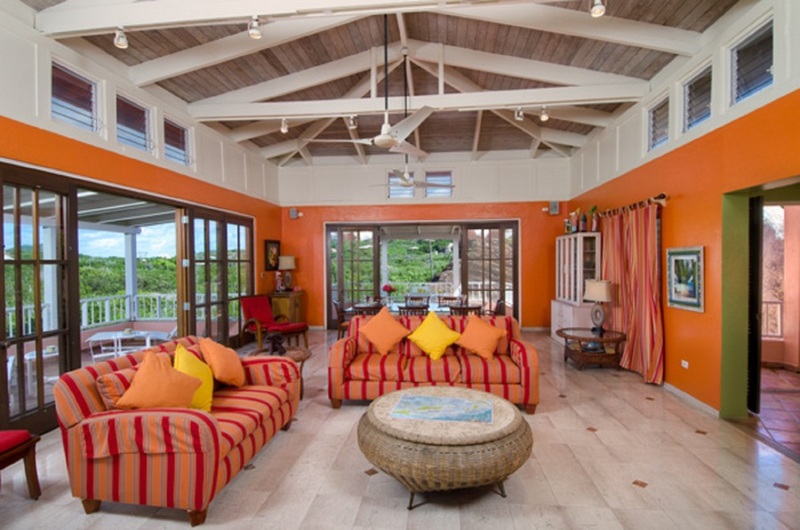 The main house has three bedrooms: king, queen, two doubles. Guest suite has one bedroom: queen, and futon in the living area. 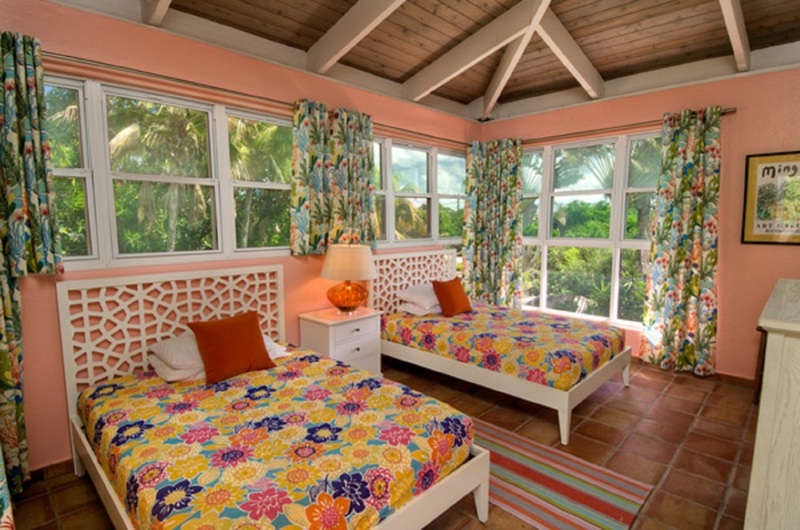 Up to 8 guests in the main house; additional 1-4 in guest suite. $400 for first week $100 for additional weeks Housekeeping comes twice per week (excluding holidays and Sundays) during your stay; final cleaning is included in this fee. Laundry facilities are not accessible to guests, reasonable arrangements are made with housekeeping for an additional fee. Typically guests fly into St. Thomas (STT) and take a ferry to Virgin Gorda (VIJ), but you can also fly directly there. The ferry ride is approximately one and half hours. 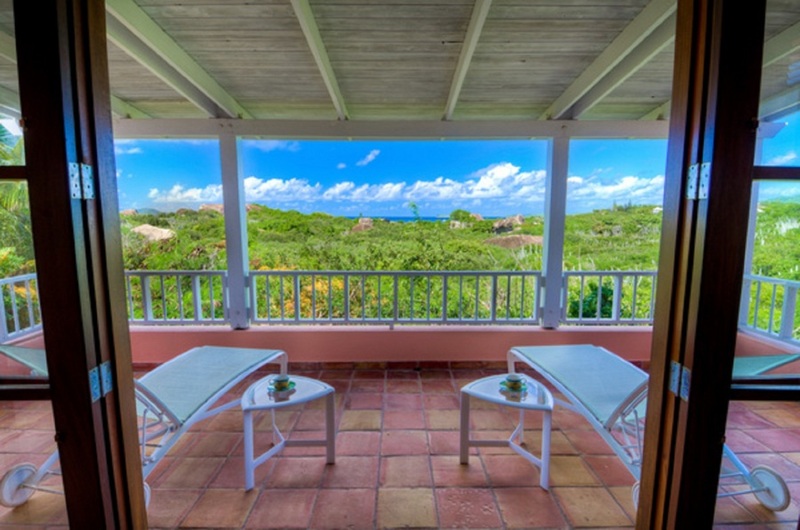 You can easily rent a car on Virgin Gorda. Renting a scooter is also a fun way to explore the island. While on Virgin Gorda, you can also take ferries to nearby islands to expand your trip and discover additional activities. The kitchen was fully stocked with cookware and utensils, and the gas grill on the deck made BBQ quick and easy. You can walk to the Baths, and Spring Bay is a short 2 minute drive. TV's are available in the cottage, master bedroom and great room. We were pleased to see a travel scrabble board and some books. There are plenty of "What to do on BVI" pamphlets and books.